Q: How does LED Lipo-Therapy work? A: LED Lipo Therapy works by stimulating fat cells to liquefy the fat contained within the cell. The fat is then absorbed by the lymphatic system and converted to energy. We use LED light Technology where units are strapped directly to the fatty areas which are more resistant to diet and exercise. This results in millions of fat cells becoming smaller, resulting in a number of inches reduced from the waist, hips and thigh regions. Each area you are working on will require a minimum of 8 sessions for best results. There is no discomfort and it feels very similar to a hot stone message. Q: How many calories can a single session burn? A: A single session would mobilize approximately 350 calories; however, tests have shown more. Q: Do you have to exercise post session? A: Yes After each 20 min session on the LED bed we will stimulate your Lymphatic system with the use of Gravity Resistance Training. This new technology can burn over 350 calories in only 10 min, on normal exercise machines it would take an hour or more to get the same results. Exercise is mandatory for 10 minutes after your LED session, in order to burn the fat that was released as energy, otherwise the fat will relocate. Q: What if I don’t want to exercise? A: The fat loss experienced while using the LED Lipo-Light Technology is attributed to the fat being expelled into the lymphatic system, where it is used as an energy source. In order to properly and fully eliminate the fat from your body, you must burn 350 calories after each session. If not, you run the risk of wasting both time and money by having the fat re-distributed elsewhere in your body. Q: Do you have to follow a food plan? A: Yes it is crucial to follow a well balanced food plan in order to not only loss inches but to also lose weight. We will work together and design a menu that is easy to follow. You will learn the day-to-day skills to feed your body properly during weight loss and for life-long success. We teach you how to buy and prepare balanced meals so you can manage your weight loss within your lifestyle (and also share delicious meals with your whole family). Q: How long is each appointment? A: Each appointment is 30- 40 min. Q: What is involved? What do I have to do? A: First we start with a 20-minutes session using our LED Lipo Therapy which provides significant reductions within the treated areas. You simply relax in a comfortable position while a trained technician places paddles on the target areas you selected. Then lay back, relax, read, or whatever you like. 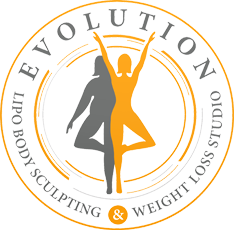 Secondly, we prepare a customized eating plan to follow until your next scheduled visit where we can ensure your accelerated weight loss. Thirdly, we perform a post LED exercise session for 10 min using our vibration plate, this new technology burns over 350 calories during each session. A: No. This is not weight loss surgery! Unlike many other fat removal procedures, LED Lipo Therapy is a pain- free, non-invasive body sculpting system that requires no down time. Everyone finds the experience pleasurable and relaxing. Q: I have a lot of different places I want to remove excess fat; can I do them all at once? A: Sorry but for optimal results-No. With the LED Lipo therapy you want to target specific areas, such as belly fat, for your sessions. You will have more effective results this way as we can target the proper lymphatic elimination areas and produce better fat loss results. Once you complete a zone and your series for that area, we can focus on additional zones to reduce excess fat stored within other areas. Q: Will the fat come back? A: The fat will not come back on its own. However, as with any fat loss, whether it is through exercise, healthy eating, or any other means of reducing fat stores in your body, you have to maintain a healthy diet and exercise regimen in order to maintain fat loss. Q: Is LED Lipo- Therapy covered by insurance? A: No. Lipo-Therapy sessions are considered elective and are not covered by insurance. Q: What is the absorption rate of the LED Lipo-Therapy? A: The LED system has a far higher absorption rate as opposed to laser treatment therapy due to the refraction and strength of the beam. Typically, LED absorbs around 70% compared to laser at around 30%.This gives a much higher chance of fat reduction. Q: How many sessions can be given and when should sessions be stopped? How much rest time between courses of 8 sessions? A: The standard program is 8 sessions per trouble area, twice per week for 4 weeks. 2 sessions a week allow the blood fatty acid levels to stabilize after each session. Q: What should be worn to a session? A: Sessions require pads to be placed directly on the skin. Comfortable clothing such as yoga pants, shorts, and t-shirts are recommended. Q: Who can use the Lipo-Light? A: Most people can do LED Lipo-Light session. There are few people who cannot, and we will let you know after a free consultation if you are a candidate. Q: What else can be done to enhance results? Incorporate our nutritional supplements designed to enhance fat metabolism and curve your appetite and improve health. Diet high in quality foods. Eat sensibly and eliminate alcohol and caffeine prior to sessions. Walk or moderate exercise 30 minutes per day between sessions. Keep to your Lipo-Therapy scheduled sessions. Massage the targeted areas after sessions to help your body’s lymphatic drainage and fat removal processes. Manage caloric intake (eat sensibly); excess calories will counteract the sessions. It is also recommended to avoid eating 2 hours before and after session. Q: Can I just drop in for appointments? A: You are more than welcome to call or drop in to book an appointment. Please keep in mind we do not book same day appointments as there are steps that need to be followed prior to your sessions, in order to maximize results.